What is the difference between a family dentist and Pediatric Dentist? Pediatric Dentists only treat kids! Pediatric dentists are the pediatricians of dentistry. Just as a pediatrician develops his or her special talents, skills and knowledge for working with children’s bodily health, a pediatric dentist does the same to more effectively manage a child’s dental health. A visit to the dentist can be an intimidating thing for little ones. The Pediatric Dental experience is designed to alleviate their fears – from the office design and amenities to the Dentist’s specialized training. Children’s mouths change quickly – babies start teething around 6 months old, and continue to lose and gain new teeth all the way through their teenage years. Many things happen developmentally during this time, and pediatric dentists are specifically taught to know what is best at each stage of this process. Pediatric dentists have a lot of training! In addition to a bachelors degree and a dental degree, pediatric dentists complete a two-year residency program that includes specialty classes and on-the-job treatment of children with various dental needs. They a re trained to work with hyperactive children, and children with special needs. Dr Allen is a Board Certified Pediatric Dentist, through the American Board of Pediatric Dentists. The ABPD certifies pediatric dentists based on standards of excellence that lead to high quality oral health care for infants, children, adolescents, and patients with special health care needs. Certification by the ABPD provides assurance to the public that a pediatric dentist has successfully completed accredited training and a voluntary examination process designed to continually validate the knowledge, skills, and experience requisite to the delivery of quality patient care. 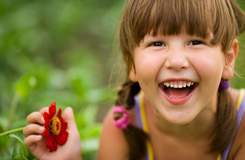 Learn more about Pediatric Dentists at the American Academy of Pediatric Dentistry.